Downtown St. Louis is about to be awash in a sea of pink. On Saturday, June 12, more than 60,000 people will join together in downtown St. Louis for the 2010 Susan G. Komen St. Louis Race of for the Cure, presented localled by Wells Fargo Advisors. To date, the Affiliate has raised more than $19 million through various fundraising events like the Komen St. Louis Race for the Cure and Dine Out for the Cure. More than $13 million has stayed in St. Louis to fund screening, treatment, education and research programs with $6 million going to the Susan G. Komen for the Cure Grants Program to fund research. The St. Louis Race is the largest Komen Race for the Cure in the world, and one of the top three largest 5K races in the world. Nice job St. Louis! MetroLink will run service every 15 minutes (instead of 20) from 5 a.m. to 12 p.m. Saturday June 12 between Forest Park-DeBaliviere and Fairview Heights Stations. Stations further along the alignment will have regular Saturday service. Race goers will gather June 12 downtown St. Louis (the closest MetroLink and MetroBus Transfer Center is Civic Center Station). The Race route travels down Olive Street at 14th to Compton Avenue, then up Market back to 14th. The races include timed and untimed 5K runs, a 5K walk and a 1-mile Fun Walk, so there’s something for people of all activity levels. 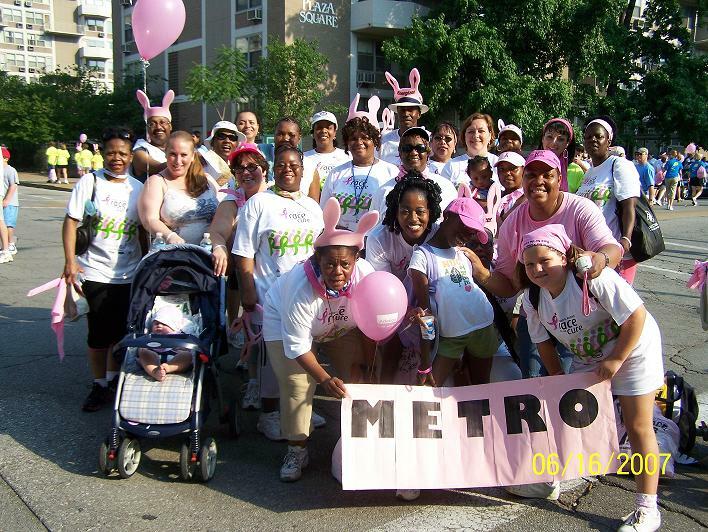 Metro’s HR Compensation Specialist Candice Lallinger, who lost her mother to breast cancer, has been working with the Race for the Cure since its beginning in St. Louis twelve years ago. Lallinger now serves on the Teams Committee, which helps to build teams, distributes group materials and provides support to teams. This year, Team Metro has 160 participants. It is too late to register a team for the Race, but you can still sign up as an individual and walk or run with your family and friends. Race-day registration begins at 6:30 a.m. It is a truly amazing experience to see the enormous swell of pink-clad survivors and supporters at the Race. 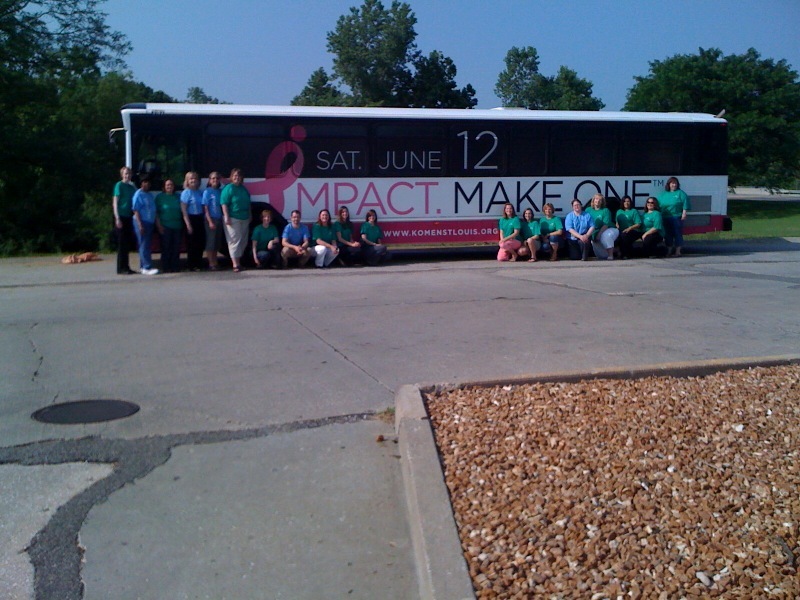 Also, June 10 is Dine Out for the Cure in the St. Louis region, and is a great reason to fuel up for the race. Check out the list of participating restaurants, and consider getting out in support of our local dining scene and this great cause. For more information on the Komen Race for the Cure activities in St. Louis now and throughout the year, visit www.komenstlouis.org.